If your company can merge these two systems together, you’ll streamline operations and boost productivity. New sales opportunities will unfold. Customers will be happier. Your bottom line will look much healthier. 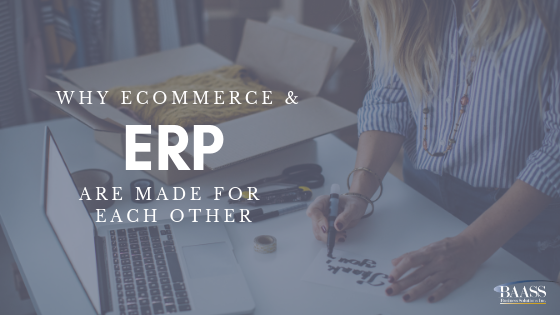 Here are some important reasons your ecommerce and ERP should operate together as one smooth system. It’s a natural connection. Ecommerce and ERP systems are interrelated, but they don’t serve exactly the same roles. Ecommerce systems typically work as the primary interface for customer orders. They offer a menu of purchasing options, provide product details, take orders, accept discounts and promo codes, handle payment, and give customers at least a basic level of order updating after the purchase. Ecommerce currently represents about 10% of all retail business, and is expected to increase by about 15% each year from now to 2021. ERP systems take customer orders and turn them into shipment needs, which involves products, inventory, supplier relationships, outstanding payments, and extensive detail about requirements and delivery. They may also track customer data and how new customers are acquired. About 81% of companies have some kind of ERP. When merged, these two types of systems create a powerful database that assists a company’s clients and employees. A merged system is a great benefit to your customers. They can track their orders, update their requests, provide billing details, and request additional information. It makes your company look professional and provides an enjoyable customer experience. Now picture your neediest customer. Every business has a handful of these clients who frequently contact the company for extra help. Although they’re great for business, they’re a handful to manage. When your ecommerce is merged with your ERP, even the most time-intensive client can usually answer their own questions. The system provides the level of detail needed for most day-to-day questions so your customer service staff doesn’t get bogged down. When an issue must be escalated to a customer service rep, this employee can use the system to answer customers’ questions in even greater detail. Clients are happier, and your employees are too. Of course, inventory management is one of the primary reasons many companies combine their ecommerce and ERP systems. When the two systems share information, inventory updates are constantly happening. Nothing is ever out of stock. You won’t hold excess inventory. Each product is tracked along its entire life cycle, from receipt of raw materials to delivering the end product to the customer. Everything flows together as one cohesive process. This prevents the kind of inventory control problems that can plague an otherwise successful business: shortages, outages, slowdowns, mix-ups, and lack of communication. Your company has transparency into its end-to-end inventory management. Any issue that arises is easy to identify and resolve. Here’s another benefit: real-time insights into sales, revenue, and profitability. As sales are made through your ecommerce site, they’re also tracked along through your ERP. Let’s say you need to know where sales numbers stand, so you can make decisions about upcoming discounts. You don’t have to wait until the end of the month, or even the end of the week. You can find sales figures moment by moment. See what’s being sold, and what your top sellers are. Make adjustments on the fly. If your biggest competitor suddenly runs a big sale, you can instantly fine-tune your offerings to compete with them head-on. This is the power of real-time reporting. You’ll also gain clarity about the movement of your materials and resources. When a certain missing piece is holding up the whole production process, your ecommerce/ERP system will be smart enough to make adjustments down the line - and alert you to the issue. CFOs love merged systems because they take the headaches out of accounting and purchasing. It’s simpler to predict the daily, monthly, and yearly flow of resources, so expenditures can be planned down to the penny. At the annual budget time, resource planning is much easier too. You already have a rich archive of ecommerce and resource management data, so the company’s needs for the year ahead are in clear focus. Does your business fluctuate with seasons and holidays? Then it’s even more important to merge your ecommerce and ERP systems. These fluctuations can be taken in stride by a system that operates smoothly, no matter the order load. This is an issue for many companies around the holidays. A sudden influx of orders would ordinarily put a strain on a company with weak inventory control. But when your merged system is in place, you can seize the opportunity to fulfill every order during even the busiest time of year. That adds up to big holiday revenue. Growing the entire company is easier. Scale up the business to meet the growing need, or scale back when demand isn’t as strong. Expand your operation worldwide with confidence, because your system is always ready to handle it. Here’s a fact about the global marketplace: Customers are getting pickier than ever about what they need when they need it, and how much they want to pay. People have gotten used to the “Amazon model,” with 87% of consumers assuming that almost anything can arrive at your door in 2 days with free shipping. Your company must be able to compete in this ever-changing marketplace. Speed matters. Service matters. Customers want flexible ordering and payment options. You need the kind of integrated system that can serve them 24 hours a day, 365 days a year. Don’t worry, we can help. If your company needs assistance with combining an existing ecommerce and ERP system or wants to implement an entirely new system that incorporates them both, connect with BAASS for expert advice. At BAASS, we collaborate with businesses to find the process and design solutions that improve productivity and profitability. Connect with us now to create a new success strategy. Lisa brings over 17 years of experience in financial consulting and specializes in understanding complex financial reporting requirements, designing custom applications, and integrating with external applications. 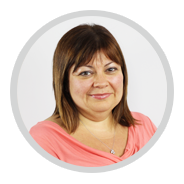 Lisa is certified in Sage 300 ERP and CRM and has successfully implemented hundreds of Sage 300 ERP (Accpac) systems throughout her career.